One of the most amazing things about photography overseas is you never know who you are gonna meet. Some of them pass through out lives in an instant. Some will resonate and remain in our lives long after the trip is over. The beauty of the unknown, makes me look forward to my trips each time. Over the last trip, we again met some wonderful people that helped us with our photoshoot along the way. I’d like to say thank you to Ross and Holly for posing with our couple in the hilarious burger chomping shot. A big shoutout also to Kim from Fergburger, who graciously allowed us to use the premise and even participated in one of the photos later on. 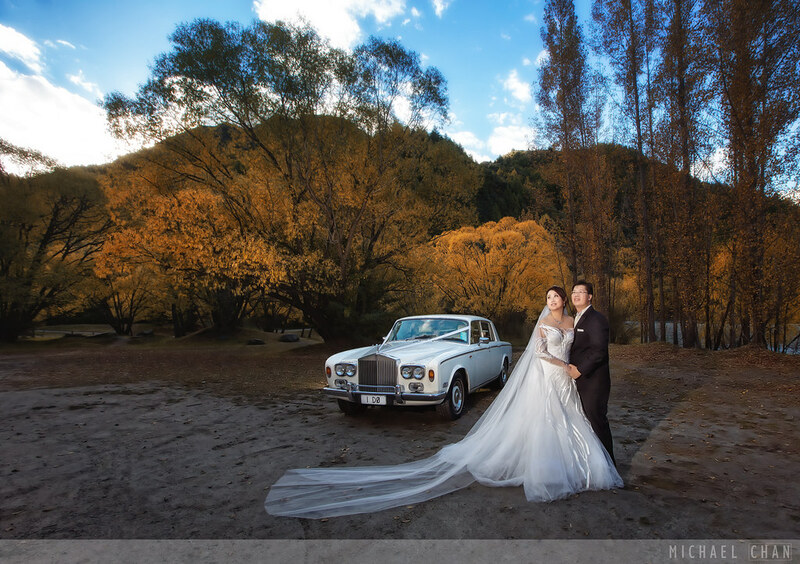 Not forgetting the amazing Kevan and Lizzie, whom we ran into in Arrowtown, as they were just about to depart in their gorgeous Vintage Rolls Royce. They were so kind to allow some time for us to take photos with their awesome vehicle as a backdrop. A big thank you again guys and hopefully, I’ll see you again real soon.